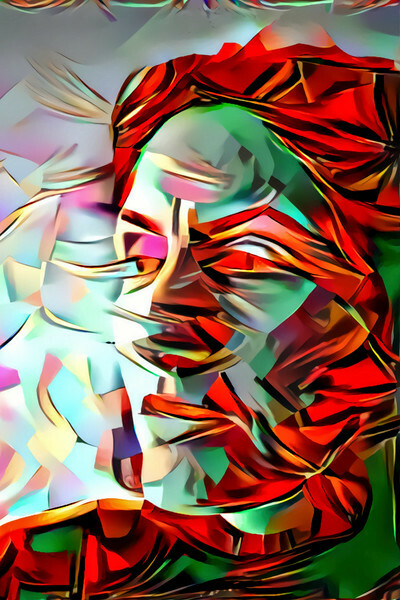 I am learning how to get good results out of the Deep Dream Generator. The tool work's best when styles are applied to simple images. This image derives from a black white portrait of my wife and one of my image hacks: Sauron's Eye. I call the result Sauron's Sister. The original portrait is entirely my work and I created Sauron's Eye by manipulating original images of glassware. However, except for resizing and noise reduction, this image is entirely the work of the Deep Dream Generator. Well, until AI programs lawyer up and start suing us for copyright infringement I am claiming this picture.